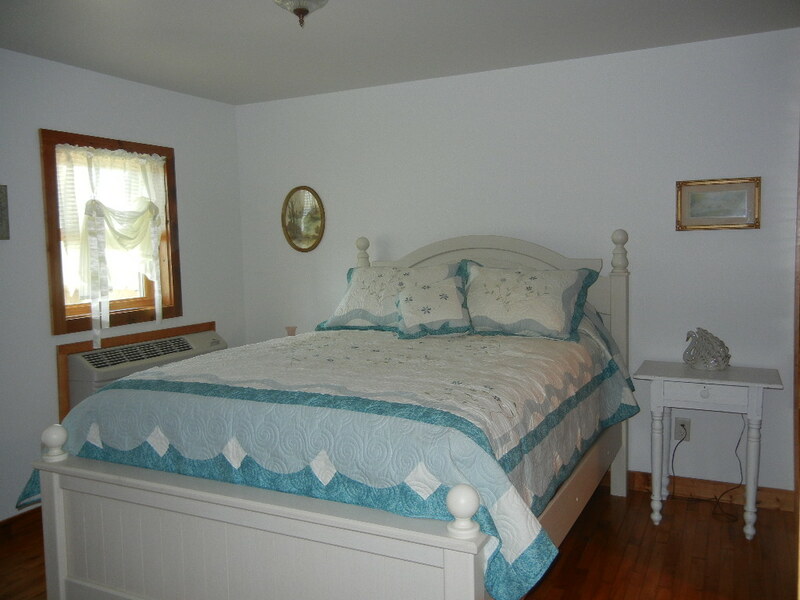 Enjoy the cottage decor and the fine linens in the Swan Room. 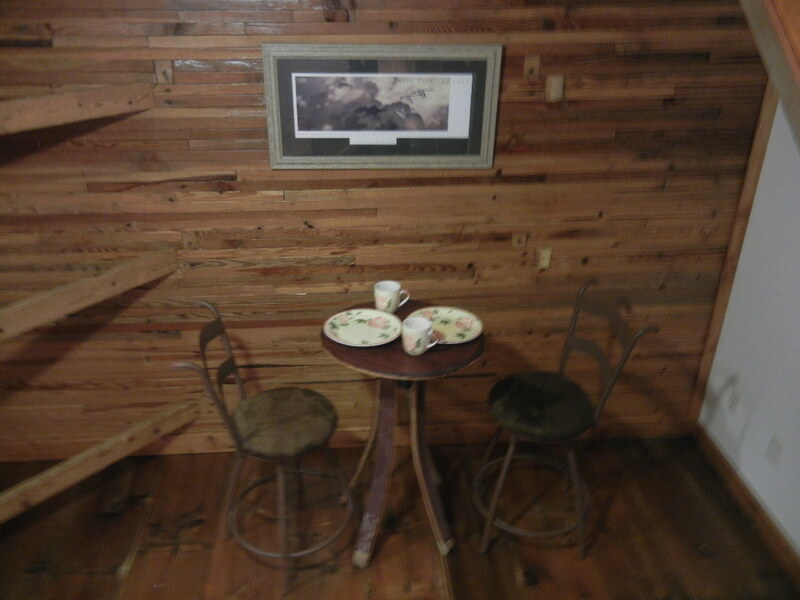 This cozy common area is a great place to enjoy breakfast on inclement days or to watch a movie or read a book. 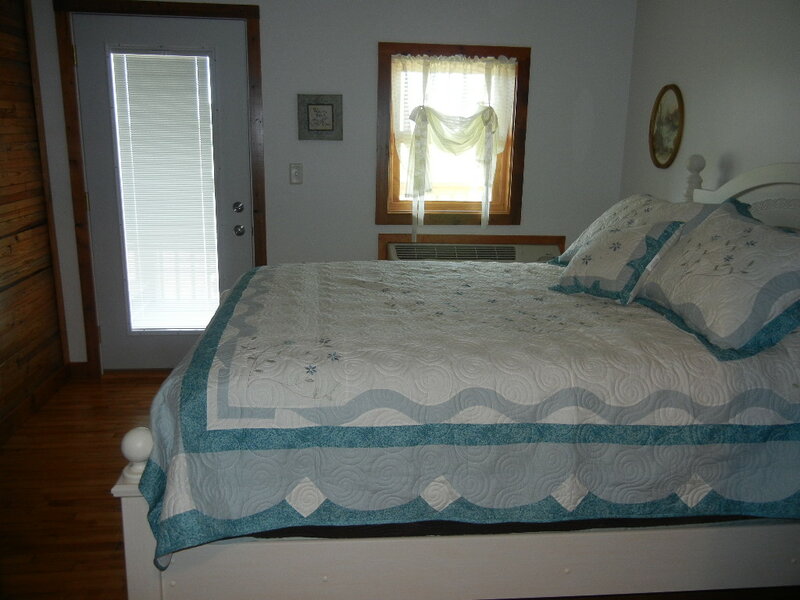 The Swan Room has a queen sized cottage style bed, private bathroom with 2 person whirlpool tub and shower. Relax on the deck with a complimentary bottle of wine in the evening and a delicious 3 course breakfast in the morning . Room rate is 159.00. Tax not included. 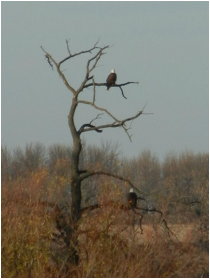 Bald Eagles on nearby Little Swan Lake. 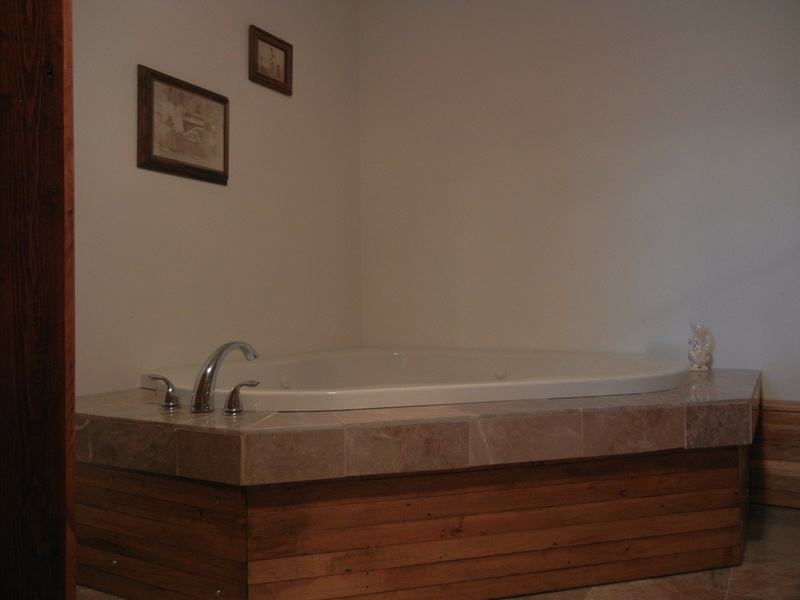 The two person whirlpool tub is a great place for a little relaxation! The swan room has its own deck with access to ground level.